Simple, solid and very useful. Just hit the footswitch and anything plugged into the input is made 100% silent. 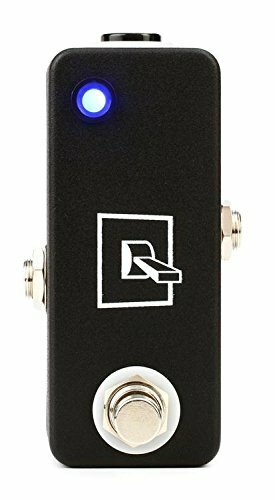 The JHS Pedals Mute Switch has a dual color LED that shines green when signal is hot and red when the mute is on. Note that this is NOT a momentary switch. When clicked, the signal stays in the position chosen.This pedal is passive but requires standard 9V DC Negative for the LED to function and it measures 3.6 x1.5 x1 Hand-built by real people in Kansas City, Missouri.Order your JHS Pedals Mute Switch Pedal from Sam Ash Direct today with the security of our 45/60 day return/price protection policy, and be sure to take advantage of our fast, free shipping. If you have any questions about this product by Jhs, contact us by completing and submitting the form below. If you are looking for a specif part number, please include it with your message.